Aging can be a scary process especially when you reach that age where you start to become increasingly more dependent on other people to help with everyday chores. When you see this happening with your parents, you may start to consider the idea of moving them into an assisted living facility. But what about your parents? Are they on board with the idea or do they have some concerns about this move? Your parents may hesitate to voice their concerns, but from our experience, these are top ten fears that many aged people have when it comes to senior living. Fact: Assisted living facilities and communities have qualified doctors, nutritionists, dieticians, and nursing staff, all of whom specialize in senior care. These professionals work together to ensure that all residents get the best possible personal and medical care. #2: The residents are bored as there is often nothing to do. Fact: Senior living facilities organize a wide range of activities, keeping in mind their residents’ ages. Residents have a choice in participating in any of these activities, which is also an opportunity to socialize with the other residents. #3: My family will forget about me as they cannot come to visit. Fact: Assisted living facilities and communities encourage family members to come and visit their elderly relatives, and they often open their doors during holidays and specialty days for family members to co me and interact with the residents and their friends. #4: I’ll be lonely as I do not know anybody. Fact: Most residents in these situations tend to make friends quicker than they would expect because they are around other people who are the same age, often with the same life experiences, opinions, and skill sets. These facilities also go out of their way to encourage socialization by organizing group activities regularly. #5: I’ll lose my independence. Fact: Because they no longer need to worry about keeping up with yard work, cooking, cleaning, and traveling by themselves, residents actually gain a huge amount of independence. 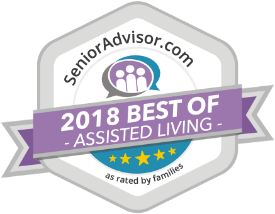 Between all the fun activities, new friends, and difficult tasks being taken care of by the staff, many seniors report feeling better and having more fun than they did when they lived at home. #6: I’ll age more quickly. Fact: Qualified staff, an age-appropriate diet, and the company of other residents of similar ages helps to keep seniors younger, fitter and happier than before. Many of these facilities also have on-site hair salons, nail techs, and barbers to not only help their residents feel good, but live better, too. #7: Senior facilities are expensive. Fact: Because the American and Canadian populations are aging, a majority of these facilities have actually lowered a majority of any fees that they have. There is also financial assistance available to a majority of those who need it. Ask the facility of your choice about payment plans and options. #8: I’ll have to give up my personal style and aesthetic. Fact: Assisted living communities can often be decorated to suit the taste of the resident, and some people have even been able to reflect their personal style with beloved items from home. #9: I won’t be able to control my daily activities. Fact: A majority of people who live in assisted living facilities or communities regain a sense of independence and freedom by doing what they would like to, when they would like to do it. They no longer have to worry about driving, doing laundry, or taking care of a large house because they can do everything within the facility, including exercising and going for walks. Fact: A majority of seniors actually increase their life expectancy in an assisted living facility, and when their “time” comes, they are surrounded by family, friends, and a medical staff that is ready to assist in every way possible.